The Silly Creek Peninsula, Providenciales. The entrance to Silly Creek. 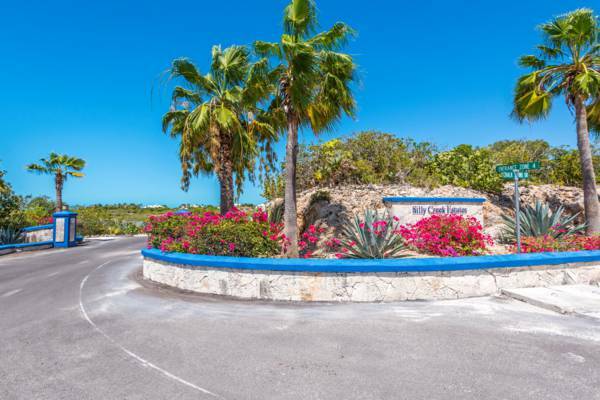 Silly Creek is an upscale residential and vacation villa enclave in the Chalk Sound area of Providenciales. 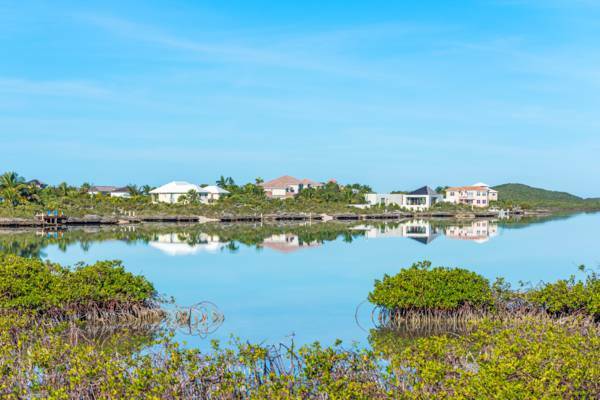 The region is located along a narrow peninsula that is edged on side by the Caicos Banks, and on the interior side by the shallow sound and lagoon of Silly Creek. Due to Silly Creek’s semi-isolated location, the area tends to be quite quiet and peaceful. The terrain of Silly Creek is quite scenic. In addition to the brilliant turquoise backdrop of the ocean, the area offers low rolling bluffs, stunted and salt-resistant coastal vegetation and weathered limestone ironshore coastline. One thing to be aware of when venturing off the path in the area is the preponderance of the coral sumac, a small poisonous tree that can cause skin blisters and irritation if touched. Several of the luxury vacation rentals on Providenciales are located in Silly Creek, including the expansive Emerald Cay mansion. This general area also commands some of the higher real estate values on the island. The interior lagoon and luxury villas at Silly Creek. The majority of the coastline at Silly Creek is low limestone ironshore cliff, however, a few very small beaches can found fronting a few of the homes. The exquisite and sheltered beaches of Taylor Bay and Sapodilla Bay are found a short drive to the east of Silly Creek. Silly Creek is named after George Silly, an Irish entrepreneur who had various business ventures in this area in the early 1900s, including turtle and sponge farming.